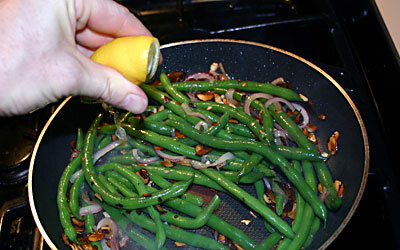 Please DO NOT use canned green beans. Add a splash of wine before the lemon for some extra flavor. 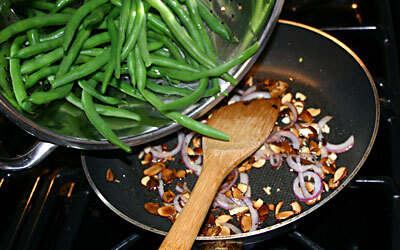 When I was a full time carnivore my go to green bean dish involved canned green beans, bacon, bacon grease and onions. I’m not going to lie and say it wasn’t awesome because it was… but there are ways to make things taste great AND be healthy. 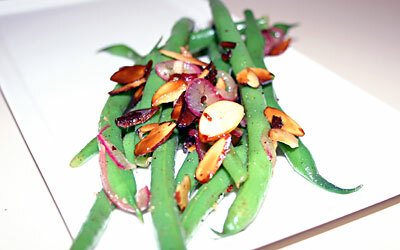 This recipe replaces the worthless canned green beans with fresh ones and the bacon with almonds and tastes AMAZING! Also, if you want to sound fancy-pants then you can refer to green bean almondine as Haricot Vert Amandine (people will be impressed, I promise). 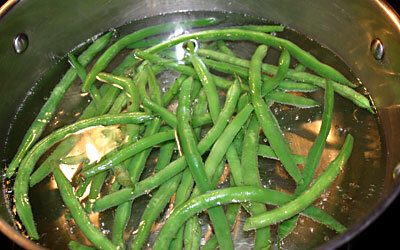 Trim the ends off of the beans and cook in a pot of boiling water for 4-5 minutes. 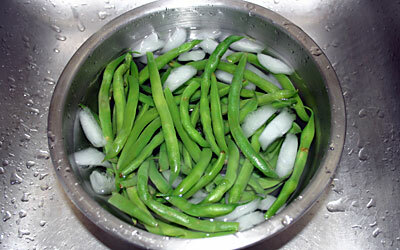 Drain and immediately put beans in ice water to stop the cooking. 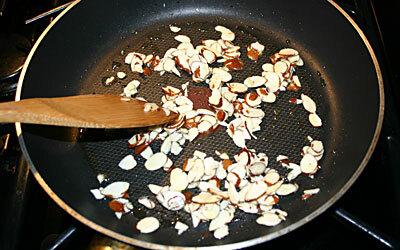 Heat the olive oil in a large skillet over med/hi heat and add the sliced almonds. Stir for 2-3 minutes or until golden. 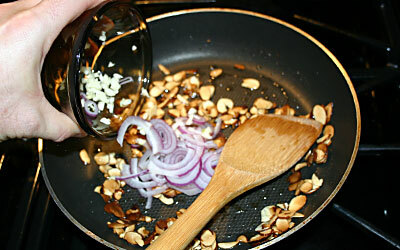 Add the onion and garlic and cook for an additional 2-3 minutes. Add beans and toss to coat. Cook for 3-4 minutes. Add the salt and black pepper. Squeeze in the juice of the lemon (remove any seeds). Nutritional information is from caloriecount.com and is shown only as a guide. While accuracy was attempted, it is not guaranteed.